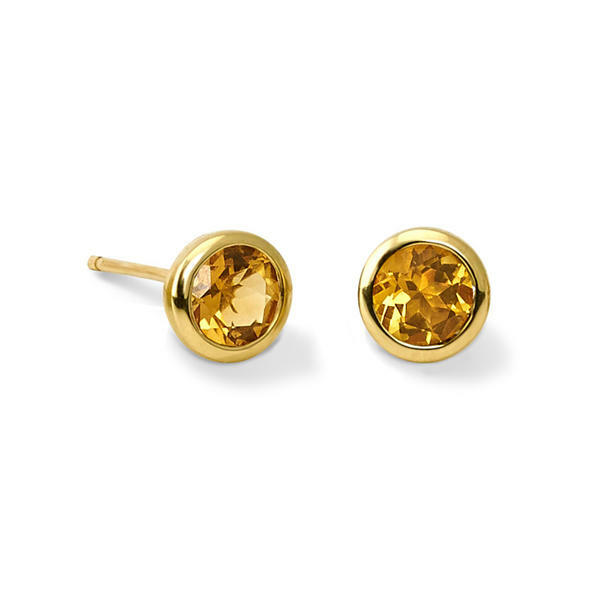 Theresa studs in 9ct yellow gold rub over set with pale yellow citrines. These studs are made to fit in any Halo from Cassandra's interchangeable earring collection. 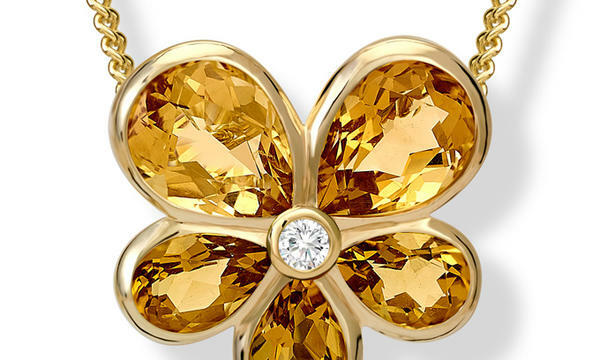 Citrine is a gemmologist's gold. Pale stones remind Cassandra of white waterlillies, the brighter yellows of tumbles of Bansiae roses and the golden richer hues of autumnal dahlias. Natural citrines can be found in Brazil, Spain and Madagascar. As November's birthstone they are said to give energy and inspiration, calm tempers and soothe anger.